In this course, the student will propose, design, construct, and present an entirely original non-trivial software project that demonstrates mastery of the various topics learned during the previous semester in CMSI 401. 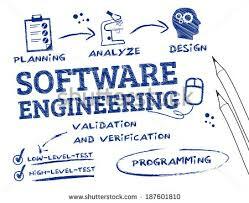 The idea of this course is to show you can successfully conceive of, design, implement, document, and present a medium-size software application; a further goal is to expose you to the concepts of the software engineering discipline, by class lecture and by actually doing. Computer games are frequently presented, but they are by no means the only project ideas. Further, for the last couple of years, this individual senior project class has been expanded to allow students to continue their group project development if desired, and beginning this year  the class also introduces an aspect of combining multi-disciplines, with several CS project teams working with Electrical and Mechanical Engineering majors to produce their resulting applications. Finally, for the last several years, the course has also been involved with the Entrepreneurship program at LMU, to produce viable products that can be taken to the market place; this expansion has even spawned several start-up companies. Another goal of this course is to expose the students to two different software development methodologies, the Agile Method and the Capability Maturity Model, Integration®. Since both of these disciplines are currently used in industry, it is important for the student to have the experience of both philosophies. Either method (or perhaps one of several other methodologies) will be used for project development in this class. A further goal of this laboratory course is to learn more about software project management. This topic includes being able to estimate such things as the amount of time a project will require for the various phases of its development, and the related cost associated with this time requirement. What You'll Need for Success . . .
Part of the class is for each student to make several oral presentations of a professional nature, including a slide show which is to be constructed with some sort of presentation software [such as Open Office Impress, Google Docs, Prezi, or even gasp Powerpoint]. It is highly recommended that you have a good grasp of fundamentals of the concepts and implementing technologies required/applied for your project, in order to have the greatest chance of completing the design successfully. In other words, don't attempt to do a project using Apache if you don't know anything about Apache, or PSP if you don't know the language. This is a question of proper project "scope". I will work with you to try to ensure you don't over-reach (or under-reach) yourself by attempting a project which is too much (or too little) to complete in one semester. When You Finish This Course [Course Goals]. . . The Stephens book provides details that are useful for an object-oriented approach to software project development. It is structured in two parts; the first section describes the basic tasks you need to deliver software which is useful, fully functional, and provides user value. It covers the details of requirements, design, architecture, integration, testing, verification/validation, and close-out. Note, however, that although there is a focus on object oriented development, there is NOT a bias toward any particular software life cycle or development methodology. The second part of the book presents details and differences between several of the most widely-used software development life cycle models. Since we have focused on a lot of the first part during last semester's class, we will spend SOME time on section one, including required readings and homework assignments, with some classroom discussions of the material in these chapters, and possibly a quick quiz or two. It will be useful to you (and to your class participation grade) for you to do the reading. Further, all of the homework assignments made during the semester are selected problems from this book which apply to the software engineering discipline and which reinforce the concepts presented during class. The UML book, although it is not required, is very useful for understanding and presenting design issues which are covered as part of your project. All student presentations will include detailed design diagrams which are expected to be in UML format. You will know how to design in UML when this course is over! Ve vill beat it into you! …and you vill enjoy it! Finally, the Head First book, also not required, is a very down-to-earth explanation of all things Agile, including topics such as planning poker, sprints/iterations, burn-down graphs, and velocity. It also makes a very good desk reference for your careers later. And yes, this is the same book you used in CMSI 401 last semester. Also Recommended . . .
A number of good web sites provide helpful information on the topics which are presented in the course. These are listed below (and are links when viewing this information on-line). Also, check out the Bibliography Page of this web for more information. Extreme Programming web site. A good source of information for using pair programming effectively. Also has good information about writing module tests from software specifications/requirements. Says to write the tests first, then write the code. This link will take you to the home page for the Agile Manifesto, which will lead you to more information about the Agile Development process. Agile is SO HOT right now!!! Another link to Carnegie-Mellon, to something called the "Personal Software Process" or PSP. This is a process which provides you with a way to track and improve your personal way of developing software. It can be very helpful to know how long it takes you, in lines of code per hour, to develop code in any of a number of languages. Here is some more information about Agile from the Agile Alliance. This is a very complete resource for finding out more about the Agile Development Process, of which there are several flavors. You should definitely check this one out! Your final grade for the course will be weighted as shown in the following table. Note that the total project grade, which is itself a sum of parts, constitutes 80% of the total grade points available. Knows basic reading facts, but does not show evidence of trying to interpret or analyze them; demonstrates little/sporadic class involvement. Demonstrates excellent preparation to readings and other material. Note that for Spring 2019 the poster is not optional, since the final presentations will be done as a poster session. You will need to have a poster to display and talk to during the presentations, so that you'll have a visual to stand next to. An incomplete will be granted only when the student requesting the incomplete has completed at least 80% of the coursework, and has at least a B average in the course work completed. This is LMU policy, not mine! FAIR WARNING!!! FAIR WARNING!!! FAIR WARNING!!! FAIR WARNING!!! In this class, documentation which is *not* of professional quality is no longer acceptable. Spelling, grammar, and internal document consistency all count and will cost you big-time if not correct! I will not hesitate to knock off a full letter grade on an otherwise perfect assignment or deliverable if there are spelling or grammar errors, or if the font or style is inconsistent between sections of your documentation. There are a number of English Grammar mistakes which are commonly made; you should know the difference between such things as its and it's , or their , they're , and there . Mis-uses of this type will count points off on your written assignments. BE AWARE that spelling checkers frequently miss this type of error, and sometimes grammar checkers do as well – READ THROUGH YOUR WORK CAREFULLY, then RE-READ IT AGAIN to make sure there are no errors of this type! Check the Grammar Hints and Helpers page from the Class Pages pull down menu for more insight and information. 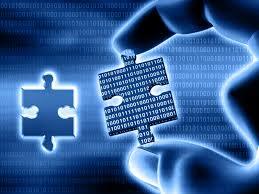 In addition, coding style will play a large part in determining the grade on the code for the project. It is inherent on the student to properly structure, comment, and indent, to select proper names for variables, and to not "hard-code" values (no magic numbers). Further, it is YOUR RESPONSIBILITY to check your code into your repository (GIT or something else) on a regular basis. I need to see your progress during the semester. Waiting until the last week of the semester and then only checking all your code in at the end will cost you a letter grade for your project. Last but CERTAINLY not least, PUT SOMETHING MEANINGFUL IN A README.MD FILE IN YOUR PROJECT REPO! Remember that this file shows up on the main page of the repo, so have something GOOD in there to show off at interviews and for people who randomly find your repo for your project using Internet searches. DO YOURSELF PROUD and do a good job on this. First and foremost, a working software project by semester's end; note, however, that simply having a working project doesn't automatically provide you the full 80% for the project grade. 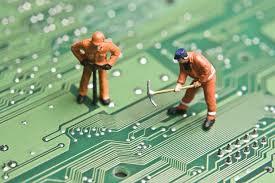 It must include the proper software engineering artifacts and discipline! This requirement will repeatedly be made clear to you during the semester. NEW FOR SPRING, 2019: There are quite a few projects that are NOT going to be indivitual projects. Some of you are continuing with your group 401 projects from the Fall, and some of you are working on collaborative projects with other departments. To facilitate these situations, there will be some flexibility in the documentation requirements. I will try, wherever possible, to balance an appropriate amount of documentation to meet the needs of the writing flag component for the course WITHOUT having you do needless duplicitous work for which there is no added value. The requirements presented here are based on the more traditional approach to having and documenting an individual project. Software Development Documentation . . . In the past, the documentation was kept in an actual physical notebook, called, by turns, the Software Development Folder , the Software Development Notebook , or sometimes the Development Library . In the modern development environment, all that stuff is kept on line. Softcopies are encouraged, and are much easier (and less expensive!) to update and keep current to accurately reflect the project state. Thus, in keeping with more modern practices, this semester you may elect to keep your documentation on line in a soft copy format. The one caveat to this is it must be accessible to the instructor for grading and commenting purposes (no duh!). However you decide to keep your information, it is collected periodically during the semester to check project progress (this is part of the deliverable system). It is handed back at the following week's class meeting for hard copy, or notification will be provided at the completion of grading for soft copy. Notebook content and formatting, along with a handy template for the table of contents, is provided on the course documents page for your convenience. You are expected to use some sort of word processing software or on-line tool to create your project documentation. Any tool you like, or with which you are familiar, is fine. The use of LaTeX is often recommended if you are producing hard-copy documents, since it is an industry and academic standard; however, you are free to use whatever application you like for this purpose. Note: You must follow the numbered outline format for all documents, wherever it is possible to do so. This format will be explained in class. You will need to keep your project in a configuration managed repository. Usually here at LMU, that means using Github. Make sure that your git is accessible to the instructor so that it can be graded. 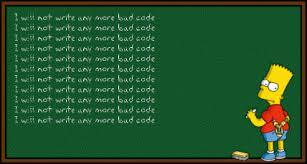 Also, don't wait until the last week or two of class to check in your code; doing so will cause a lower grade, since the code is expected to be visible all during the semester to observe the development of your project. Finally, either make your project public, or add the instructor to it as a contributor, so that it is visible! Examinations and Assignments . . . There is no mid-term exam and no final exam for this course; instead, the final project presentation serves the purpose of a final exam, and the deliverables replace tests during the semester. The final presentation is done (as I'm sure you all know) in front of as many faculty, alumni, and selected invitees from industry as can attend, as well as family and friends of the students. Grades for the course are assigned according to the weighting factors shown in the tables above. Additionally, other professors will be invited to all of the presentations, not just the final presentation, and will be welcome to provide questions and comments about your project designs and make suggestions to enhance your presentations. There will be several written assignments from the text and other sources. Normally, textbook assignments are handed in (or made available) at the start of class on the due date. Deviation from this process requires prior consent of the instructor. "I left my homework at home" is no longer a valid reason for late work. You're grown-ups now, and can be responsible for remembering what you need to remember. Every effort is made to ensure assignments, required deliverables, and due dates are prominently posted on these pages; it is your responsibility to make sure you know what is due and when it is due. You may turn assignments in late, but they will be reduced in grade by one letter for each day they are late. Day means day , not workday or class day ; an A+ homework due on Thursday which is not turned in until the following Tuesday will get a failing grade, unless prior arrangements are made. The text book reading assignments are available here. The text book written exercises are available here. Cheating on assignments, plagiarism, falsification of data, and other similar or related violations of LMU standards of honesty and integrity ARE NOT TOLERATED. Any student or students who commit such offences will receive a failing grade for that assignment, possibly a failing grade for the course, and conceivably further disciplinary action. It is acceptable to use code from textbooks, friends, coworkers, or other sources, as long as the source of the code is cited/acknowledged in all reports and source file headers. This does not mean that collaboration is discouraged; in fact, the "pair programming" paradigm is encouraged. However, this does mean that exact duplicates of reviews and write-ups turned in by more than one student as individual work, or uncited copying from the Internet or any other source, will not be allowed. Such a situation will be dealt with in the manner outlined above. In short, if you are responsible for your own work, do your own work. Repeat: failure to follow this simple guideline will result in a failing grade on that assignment, likely failing grade in the course, and quite possibly further disciplinary action. Students with special needs who require reasonable modifications, special assistance, or accommodations in this course should promptly direct their request to the Disability Support Services (DSS) Office. Any student who currently has a documented disability (ADHD, Autism Spectrum Disorder, Learning, Physical, or Psychiatric) needing academic accommodations should contact the DSS Office (Daum Hall 2nd floor, 310-338-4216) as early in the semester as possible. All discussions will remain confidential. Please visit http://www.lmu.edu/dss for additional information. As an LMU Lion, by the Lion's code, you are pledged to join the discourse of the academy with honesty of voice and integrity of scholarship and to show respect for staff, professors, and other students. The LMU Student Affairs brochure Disruptive and Threatening Student Behavior [2018-2019], which states Disruptive behavior which is persistent or significantly interferes with classroom activities may be subject to disciplinary action. A student may be referred to the Office of Student Judicial Affairs if their behavior constitutes a violation of the conduct code. For more information on this or any other conduct issues, please refer to the Student Codes and Policies page on the Student Affairs Division Home Page. The Lion's Code, Student Conduct Code, Honor Code and Process, and information on many other policies are available from that link. Electronic Devices: Without being totalitarian about it, because I forget sometimes myself, but I would prefer that you turn off your cell phone ringer during class. Cell phone ring tones and text message tones can become disruptive. If you have a laptop, I don't mind if you want to IM with your friends or surf the Internet during class time, but be aware that will not be accepted as a valid excuse if you are called on and don't know what we're talking about – this could be a contributing factor for a low class participation grade for that day, but it's really up to you to decide. Just please keep the volume off so that you don't disturb others. To report an emergency or suspicious activity, contact the LMU Department of Public Safety by phone (x222 or 310-338-2893) or at the nearest emergency call box. In the event of an evacuation, follow the evacuation signage throughout the building to the designated safe refuge area where you will receive further instruction from Public Safety or a Building Captain. For more safety information and preparedness tips, visit http://www.lmu.edu/emergency. I have office hours on Mondays and Wednesdays from noon to 4 PM, and on Tuesdays and Thursdays from 4:15 to 6:15 PM. That's 1200 to 1600 and 1615 to 1815 in 24-hour time format. Also, if my door is open, you are welcome to stop in without an appointment. I use the appointment system to make sure that if someone wants/needs one-on-one time, it is available. I'm also on slack in both the LMUCS and LMU CS TAs workspaces. I check email at both these addresses at least twice a day, usually three times a day. In addition I am frequently on line for G-mail IM sessions after 8:30, PM at the above address..
YOU SHOULD CHECK YOUR LION EMAIL ADDRESS OF RECORD. I will start by sending all email blasts to everyone's lion.lmu.edu email addresses. If you specifically provide me with a preferred alternative email to use I will be happy to oblige. I create a distribution list to which I send all general communications, so it is important for me to have an email address which you will check on a regular basis. Images on this web may be borrowed from other sources for teaching purposes only. If I am using an image that you want me to remove, tell me and I'll take it down. Use of feminine pronouns should be inferred to apply to both genders.